I am so excited that my Polka Dot Village is done! 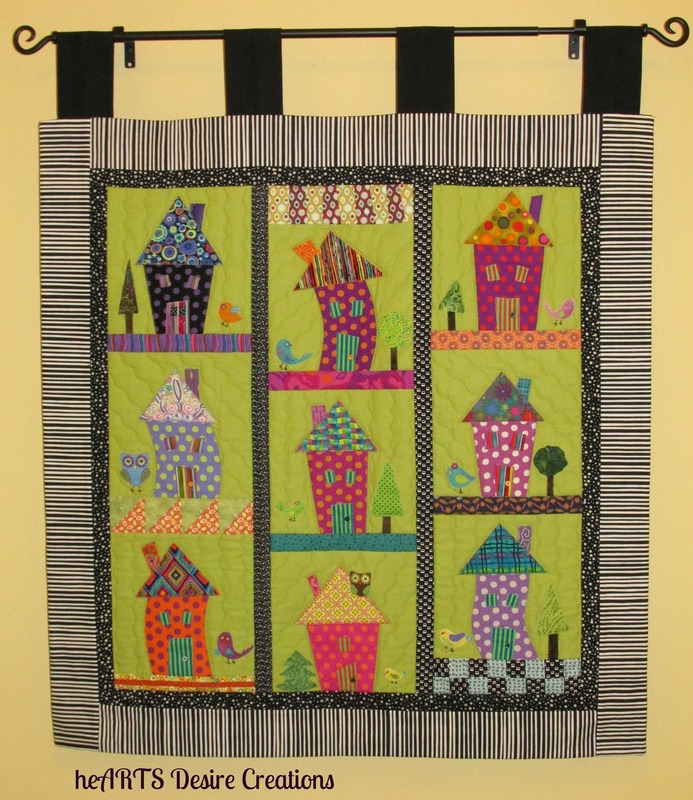 About 3 years ago Ellen Guerrant did a workshop for our guild using her “Tartan Town” pattern. It is a fun and whimsical design. There were about 20 of us and we all brought our piles of small stash pieces – colorful and whimsical. We shared mightily – as though none of us had ever seen so many different fabrics! In true quilter fashion the project got put away when I got home. Finally, about 2 year’s later, it once again saw daylight. 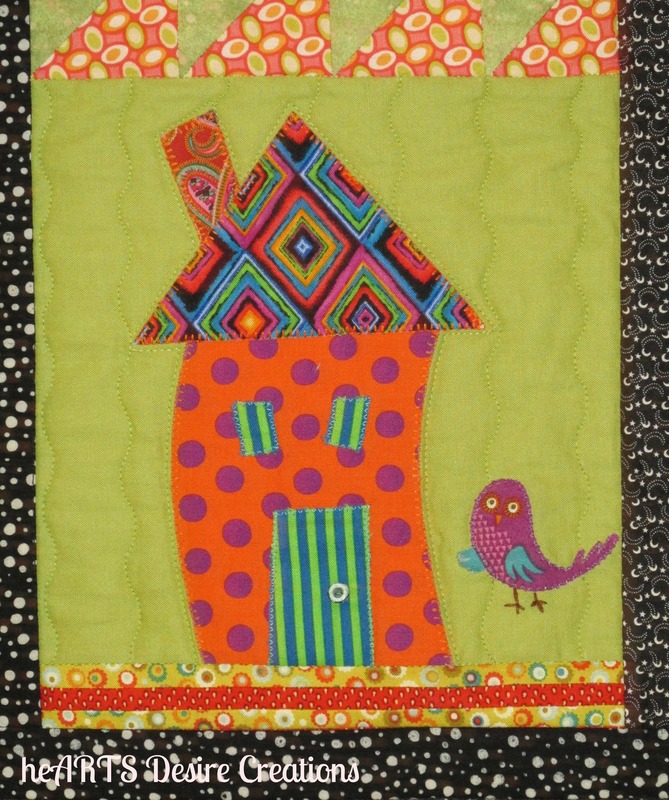 I had more fabric choosing to do – who knew I would spend so much time for little windows and doors? Now it is done and is hanging above our stairs leading down to our family room and my sewing studio. (Not a good place to get pics, but I wasn’t about to have us get the extension ladder to get it down.) I love how cheerful it is. 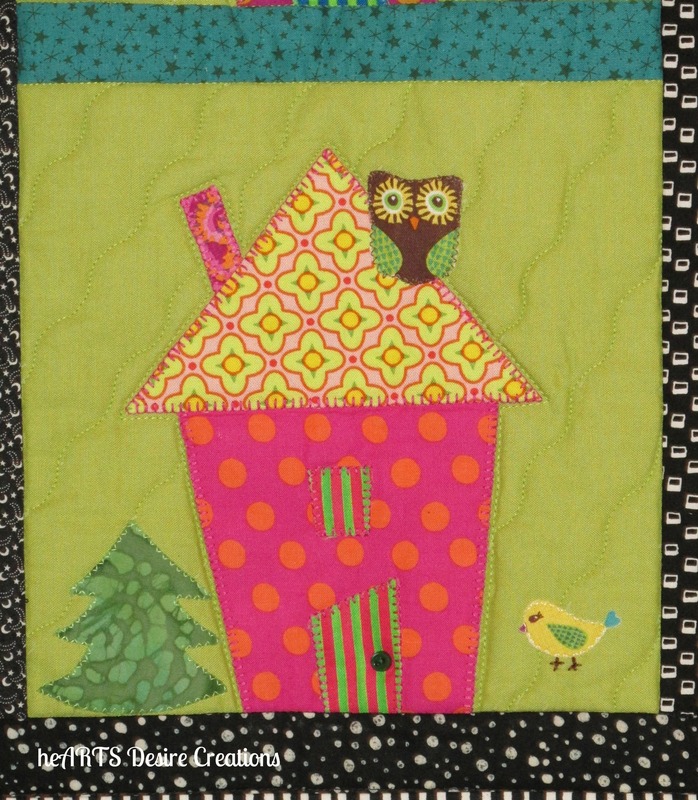 Each house block has a bird – even an owl on the one rooftop! This is also another one of my UFO finishes for our guild’s challenge. Only 3 more to go! Posted in Art, Fabric, Quilting, Scraps, Stash, Swap and tagged batiks, challenge, charity quilts, Color, guilds, projects, Quilting, Quilts, Scraps, Sewing, stash, UFOs. Bookmark the permalink. My kind of cute! Very fun. This is so adorable. Your fabric choices are so appealing. I’d like to live in one of your little houses. Such a happy little quilt! Love all of the cheerful fabrics! This quilt is so cute…do you know if the pattern is available? Not sure. Follow the link to Ellen,s site and contact her. It is not on her site though. 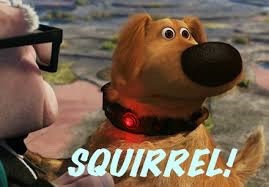 This is my favorite as you may recall. I’m not sure if it’s the vibrant use of color or the overall design that really calls to me (or all the above).